The greatest part of the Museum's upper floor is dedicated to the Second World War. The Altar of the Fatherland stands out, while there are photos of the monument for those who served at the submarines of the Hellenic Navy and where sacrificed during their duty. The monument is situated at the base of the submarines at the Salamis Naval Base. In the Collection there are included naval and navigational equipment and accessories (gyroscopic accessories, binoculars etc. ), most of which are used nowadays as well. 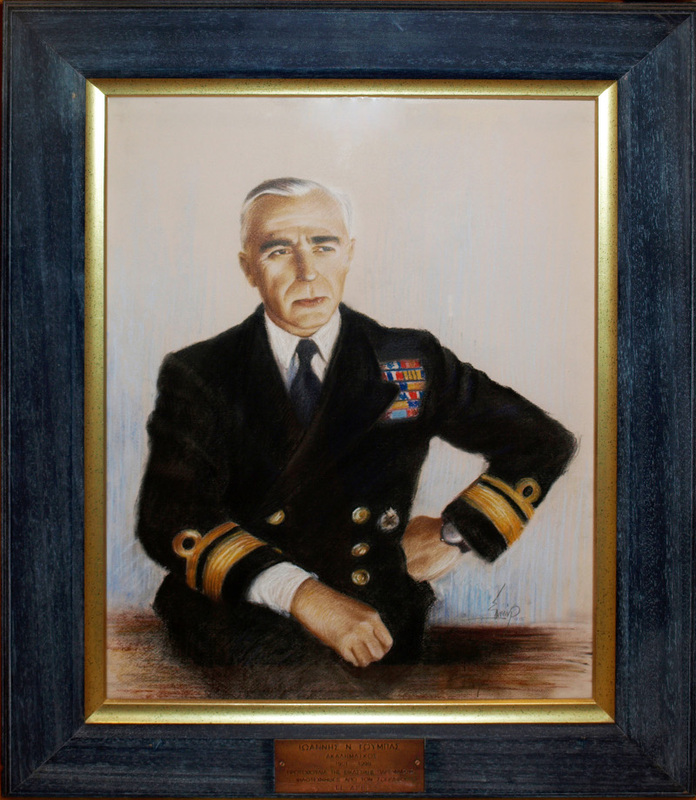 There are also various ship models (which are constructed with primary material), among which, somebody can see the Submarine Papanikolis, the Fregates Velos , Macedonia and TPK Kostakos, the Battleship Missouri (where there was signed the Japanese Instrument of Surrender , which typically meant the end of the World War II) and the Battle Cruiser Alaska. Worth mentioning is also the Simulation of a Destroyer Bridge, which impresses every visitor of the Museum. It was granted by the British Navy in July 1942 and took part in convoys and patrols in the Mediterranean with lush action. 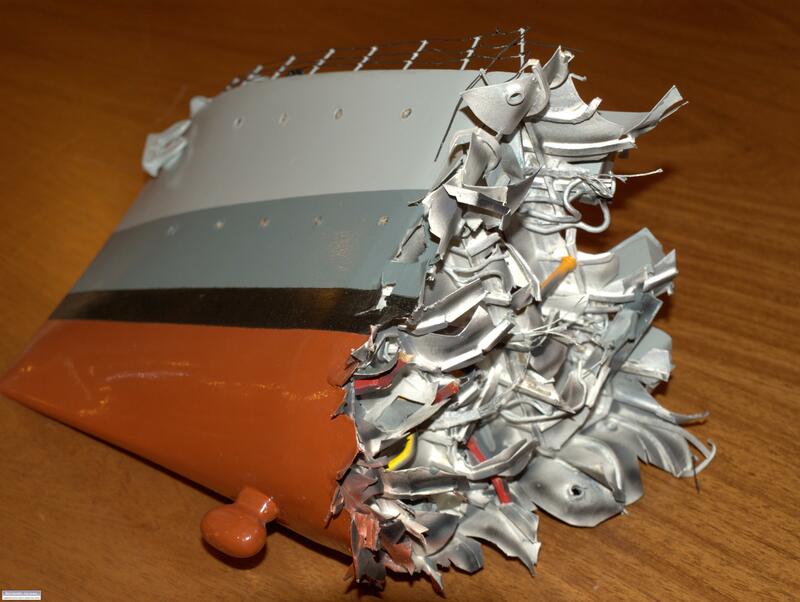 In October 1943, in command of Lieutenant Commander I. Touba, it struck a mine in the Dodecanese region and cut off its bow. After rough repairs to the nearby Turkish coast, it managed to sail 700 nautical miles. arriving at Alexandria on St. Nicholas Day, even though it missed the entire bow to the bridge. 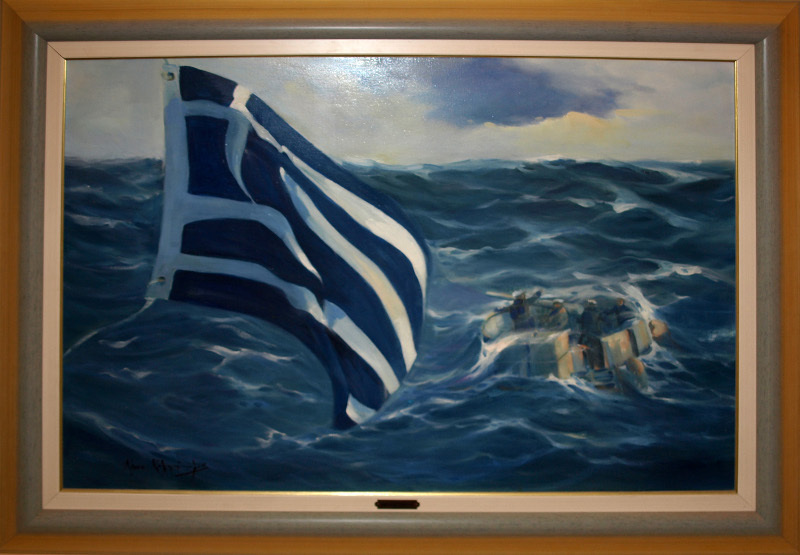 With the entrance of the ship in the harbor a acclaimed reception took place from the Hellenic and Allied fleet, on a ship that is faithful to the traditions of our Navy, refused to leave the fight. 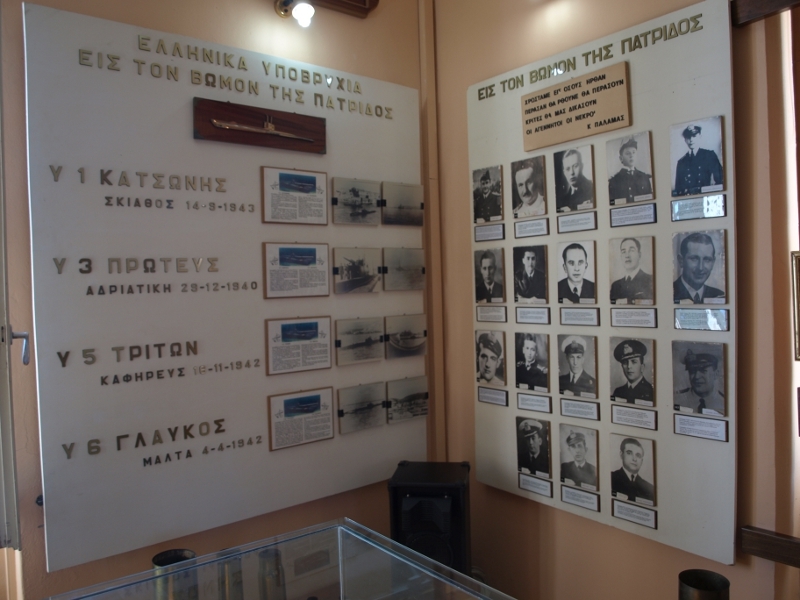 Photographs of the monument of men that served in the submarines and were buried in the wet tomb. 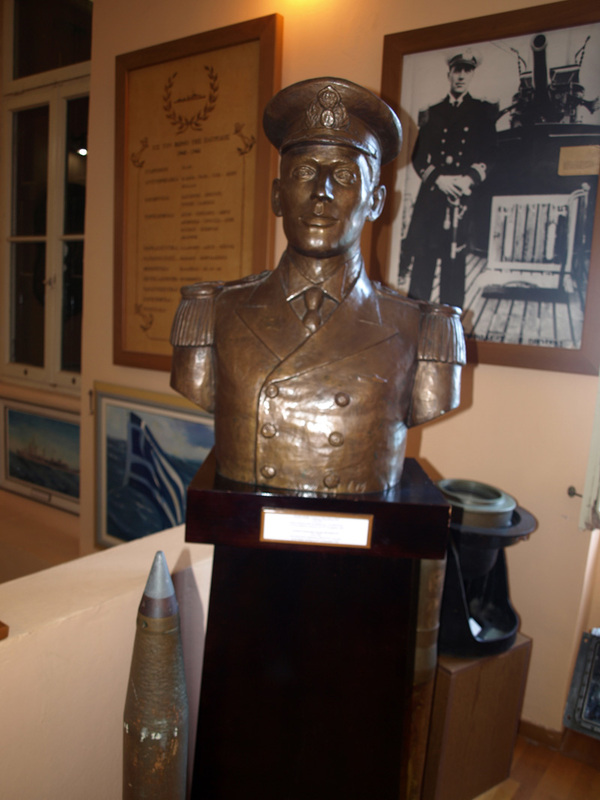 The monument is at the submarine base at Salamis Naval Station. Side-by-side photos of the men.